<i>Colonial Voices</i> presents readers with a representative cross-section of the attitudes of both colonizer and colonized. It provides an overview of the political, economic, and social forces as well as the unique personalities that contributed to the making of the colonial and post-colonial world. Divided thematically into eight sections, the book underscores significant events, processes, and transitions that shaped the age of empire and its decline. The selections are largely composed of primary-source documents, namely journals and diary entries, tracts and treatises, declarations and speeches, and memoirs or autobiographies. Secondary sources include classic works by scholars of cultural studies, economic history, and literary criticism. 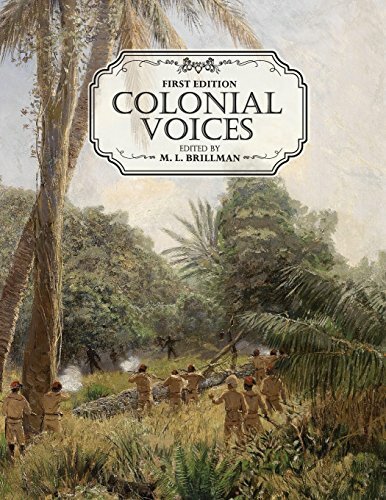 <i>Colonial Voices</i> lends itself most effectively as a classroom tool through which students can read close analyses into the texts and engage in their own discursive interpretations on a multiplicity of levels. The book will generate a wider interest in, and a better understanding of, colonial and post-colonial studies amongst undergraduates and initiate debate within graduate seminars. It is the ideal reader on imperialism for lower and upper-level university courses alike.<br /><br /><b>M. L. Brillman</b> holds a Ph.D. in history from The University of Chicago and is currently a visiting professor in the department of history at Florida International University. He has taught courses on world history, modern Europe, modern Britain, Irish history, colonial India, and nationalism. Dr. Brillman has written and presented extensively on issues of colonialism with a particular focus on Ireland and India, with notable publications appearing in the <i>New Hibernia Review</i> and the <i>Irish Literary Supplement</i>. He is currently working on a biography of Sir Antony MacDonnell, a civil servant in India and Ireland. M. L. Brillman holds a Ph.D. in history from The University of Chicago and is currently a history instructor at Florida International University. He has taught courses on world history, modern Europe, modern Britain, Irish history, colonial India, and nationalism. Dr. Brillman has written and presented extensively on issues of colonialism with a particular focus on Ireland and India, with notable publications appearing in the New Hibernia Review and the Irish Literary Supplement. He is currently working on a biography of Sir Antony MacDonnell, a civil servant in India and Ireland.